Our Successful “Be a Santa to a Senior” Campaign! For the very first time, SCG signed up for the “Be a Santa to a Senior” program run by Home Instead Senior Care. They partner with senior care centers to provide small gifts and bits of comfort to seniors over the holidays. 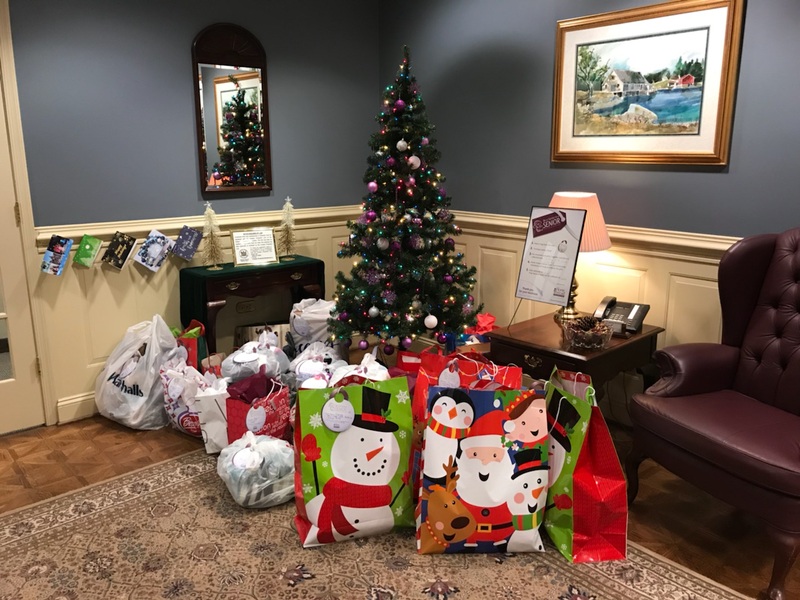 The ladies from the program set up a beautiful tree in our lobby and placed gifts tags for our employees to choose from. The program works with organizations that are not already receiving many gifts to ensure that they are reaching more of the community. Yesterday, we stuffed Charlene’s car with all of the gifts for each tag that was on the tree. They were overjoyed at what Charlene dropped off! We truly have the best employees around!